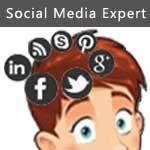 Have you ever thought of what does a Social Media Expert do on a daily basis? How many brands he handle daily on Social Media? They live, drink and eat Social Media. They get Social Media ideas like on the spur of the moment. They know Social Media Marketing in-and-out. Well actually it is all utter rubbish. this infographic is hilarious. All that time gone haha. Sometimes my days are like this. I need to learn how to prioritize better. Thank you for sharing. People who are internet savvy probably knows a lot more than those who just hit the net for few purpose. Social Media Expert tend to explore and are more eager to know and learn the the details that’s why if we need to put something on the net and want it to be seen, then we need the help of these kind of people.